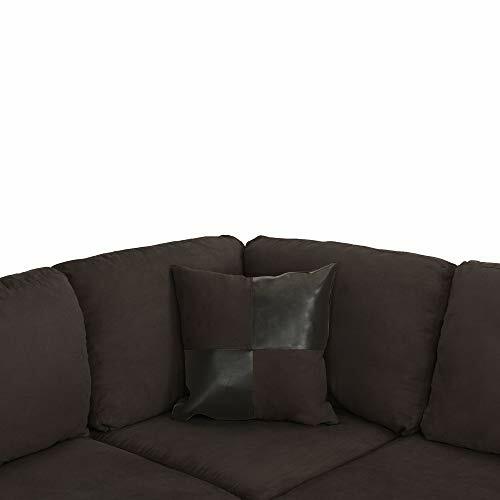 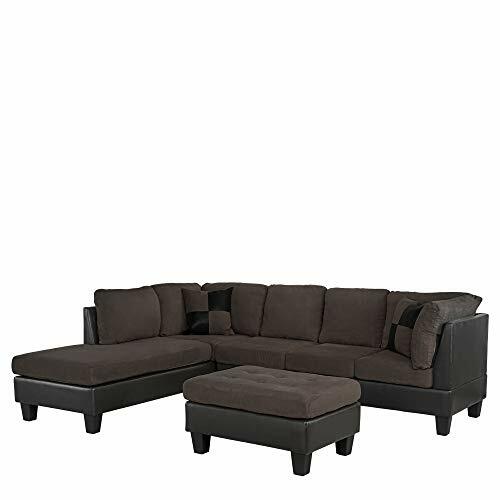 3-Piece Sofa Set: Sofa, Reversible Chaise, and 38x26 inch Ottoman included. 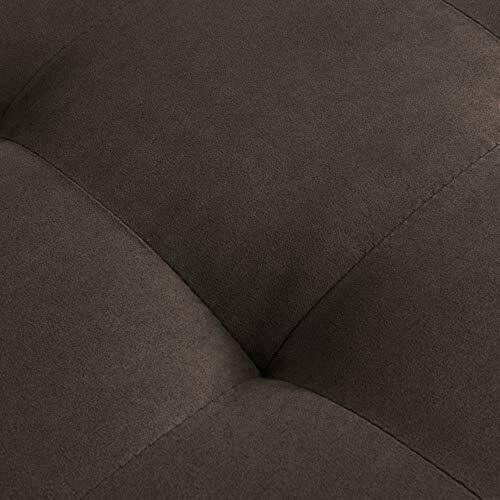 Machine Washable removable zippered cushions allow fast and easy cleaning! 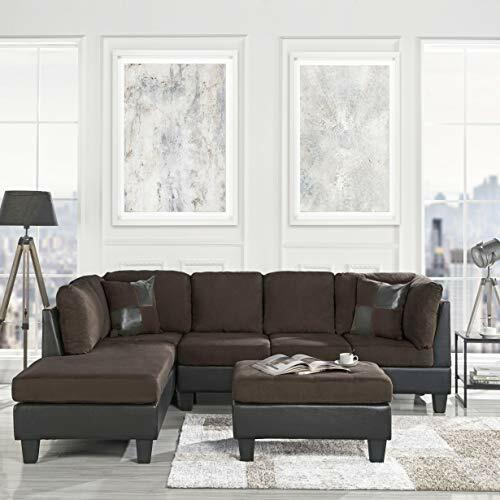 Durable wood frame base with Microsuede and Faux leather upholstery for maximum comfort and style. 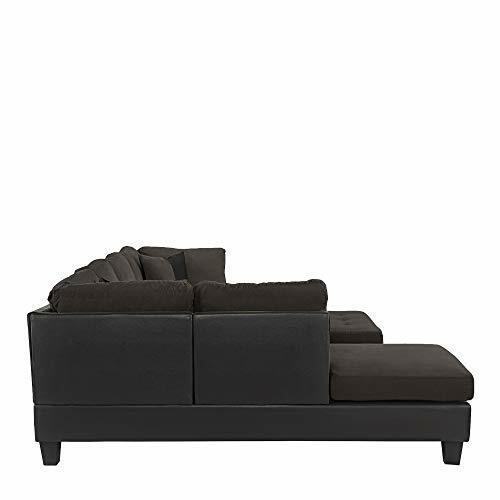 Assembly Required: All hardware and legs included for set-up. 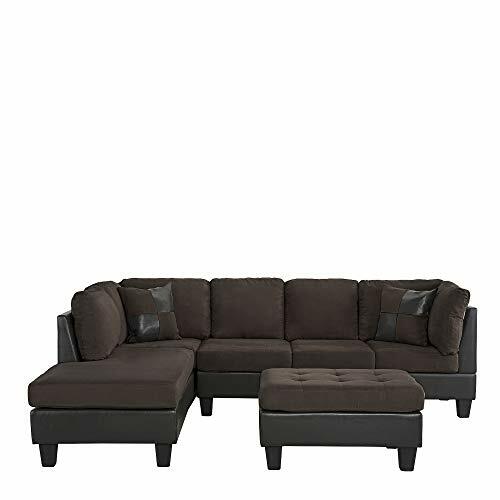 (parts are concealed underneath sofa dust cover when shipped). 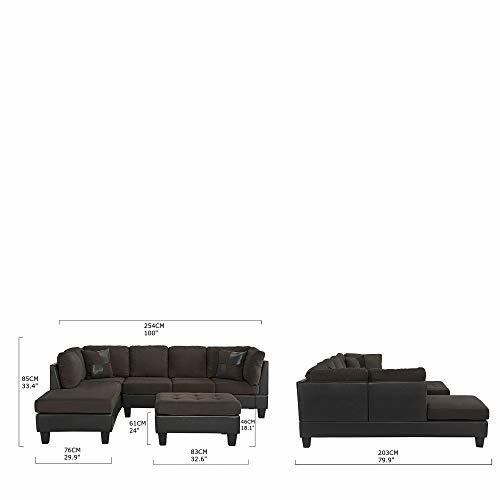 DIMENSIONS OVERALL DIMENSIONS (H X W X D): 35" x 102" x 80" SOFA (H x W x D): 30" x 70" x 34" CHAISE (W x D): 32" x 80" OTTOMAN (W x D): 26" x 16"